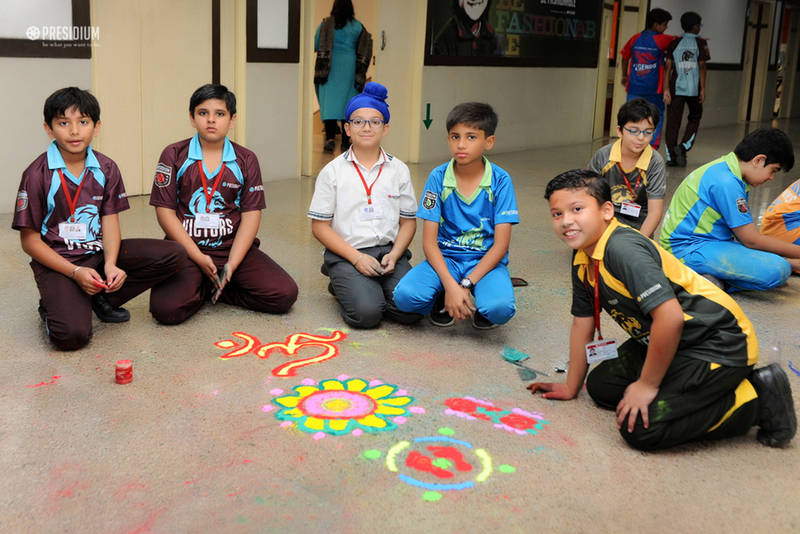 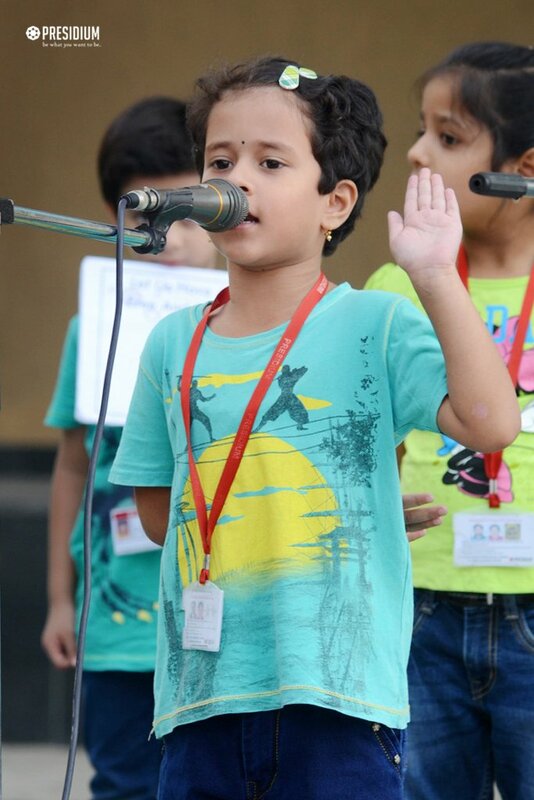 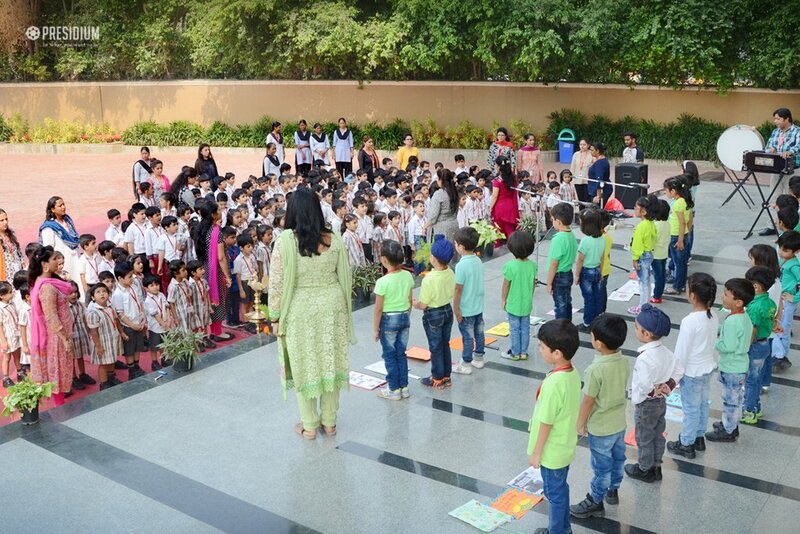 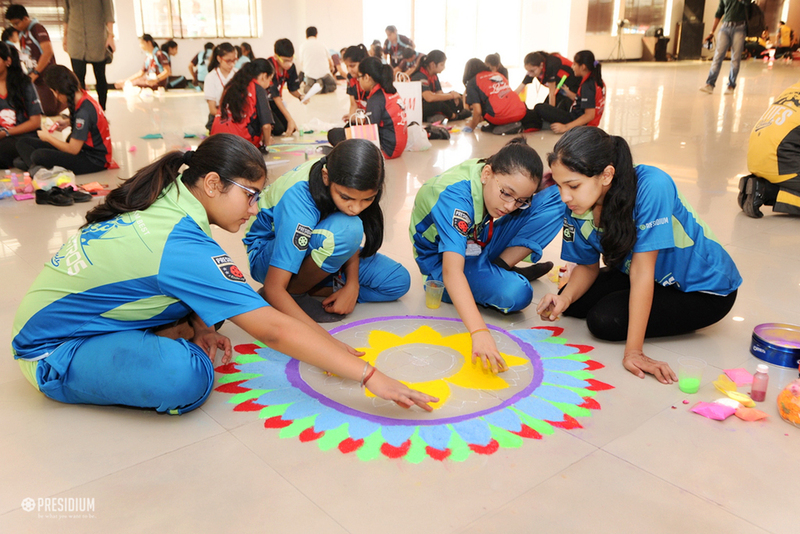 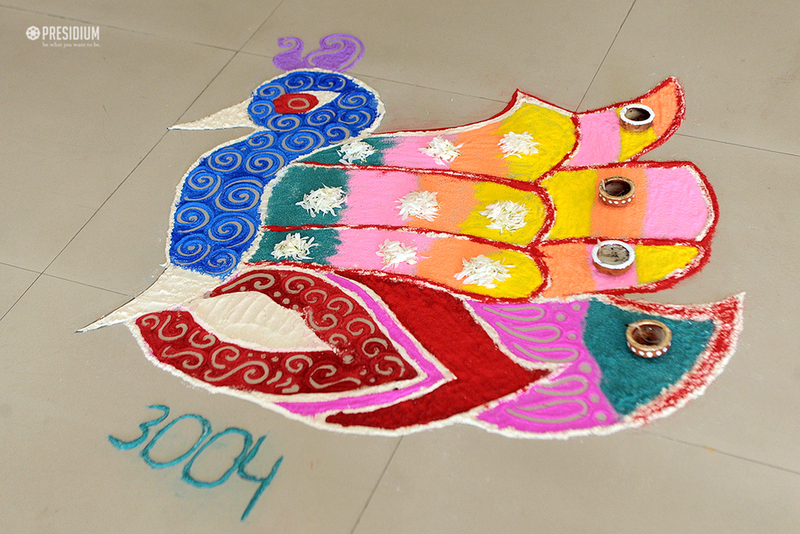 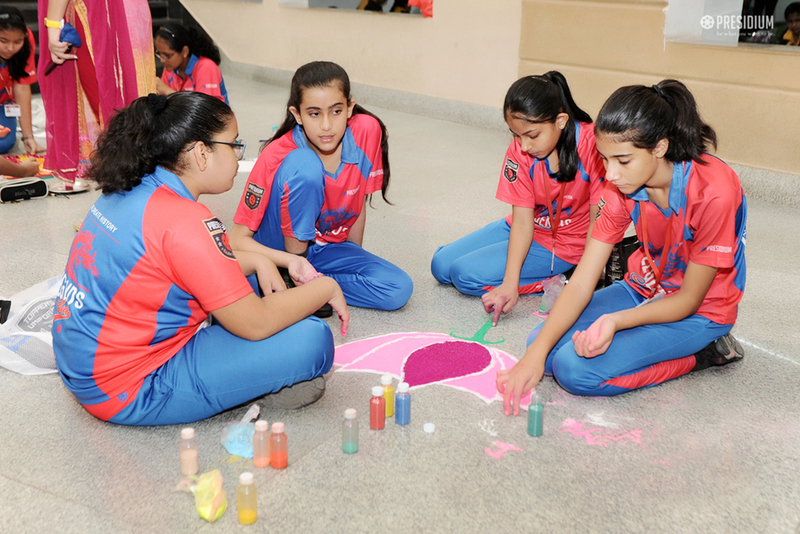 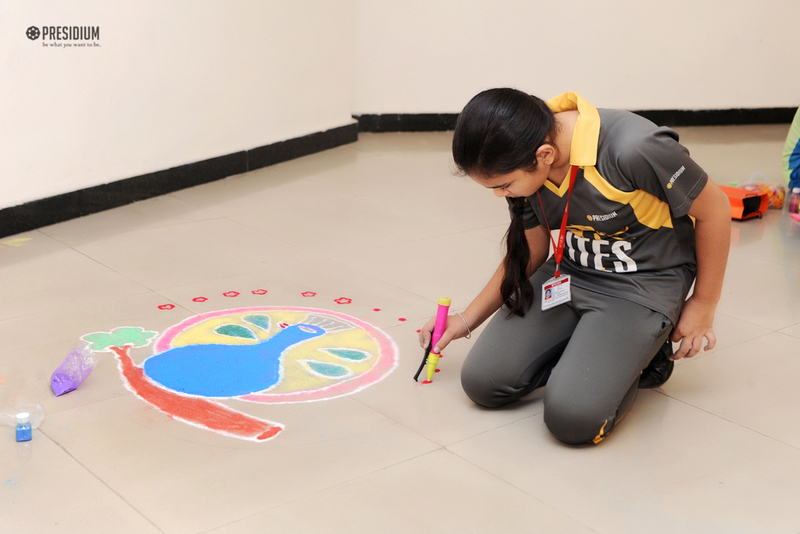 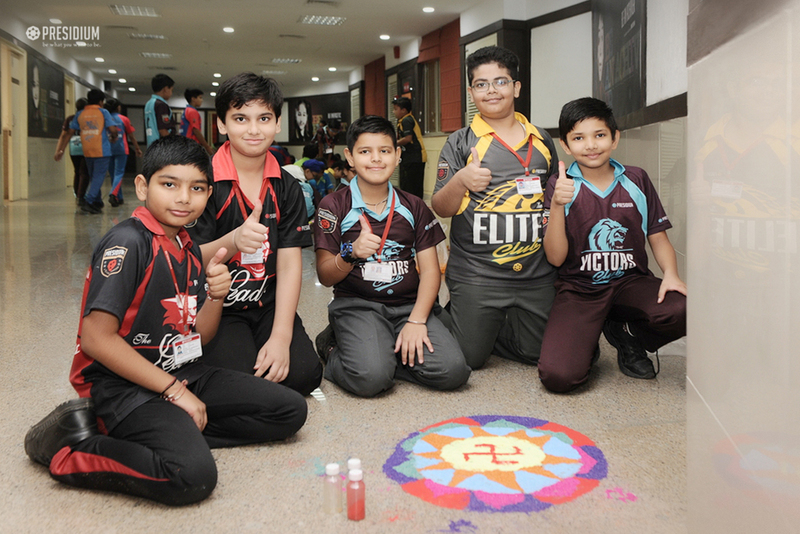 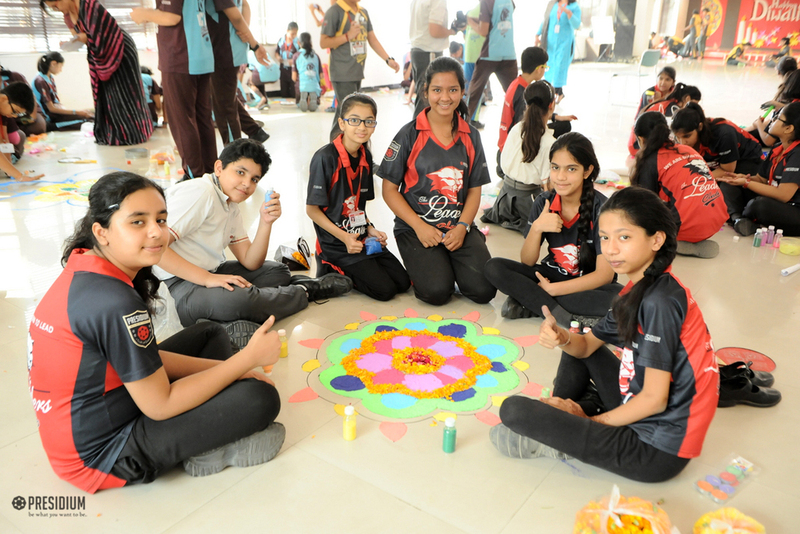 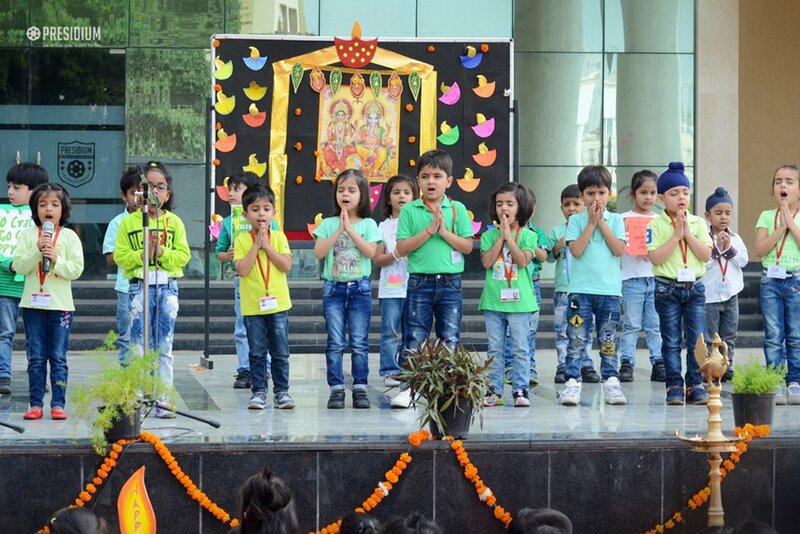 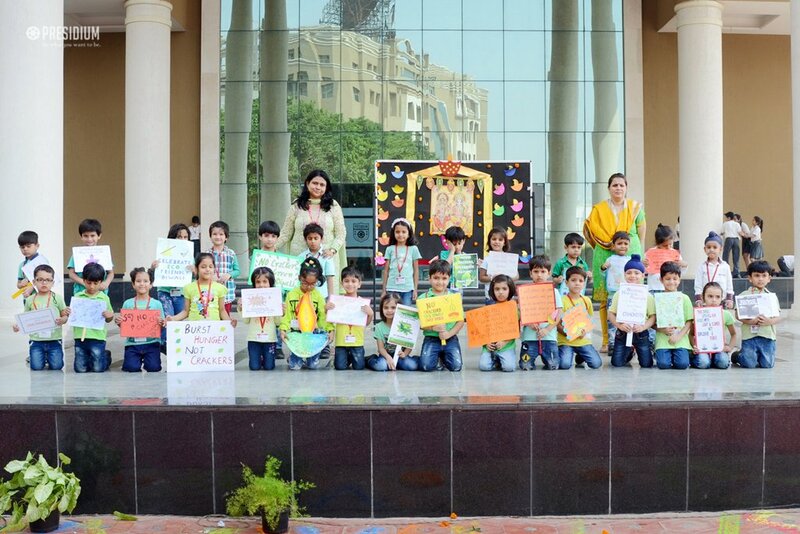 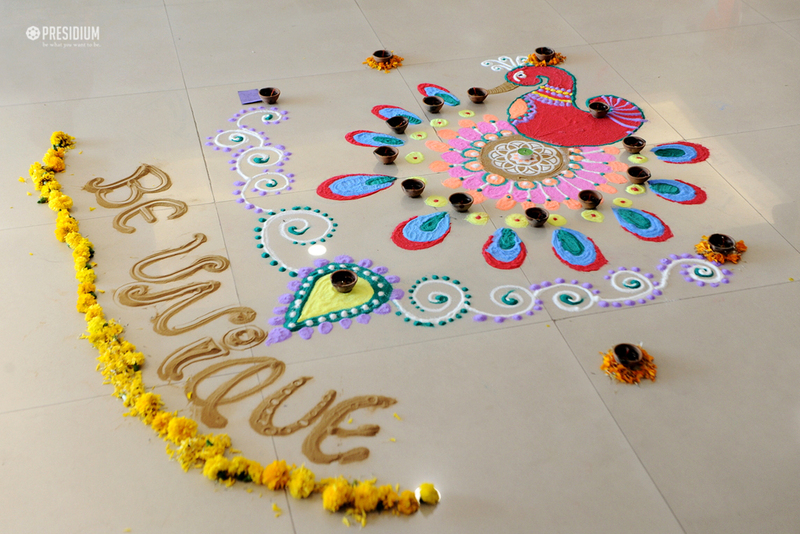 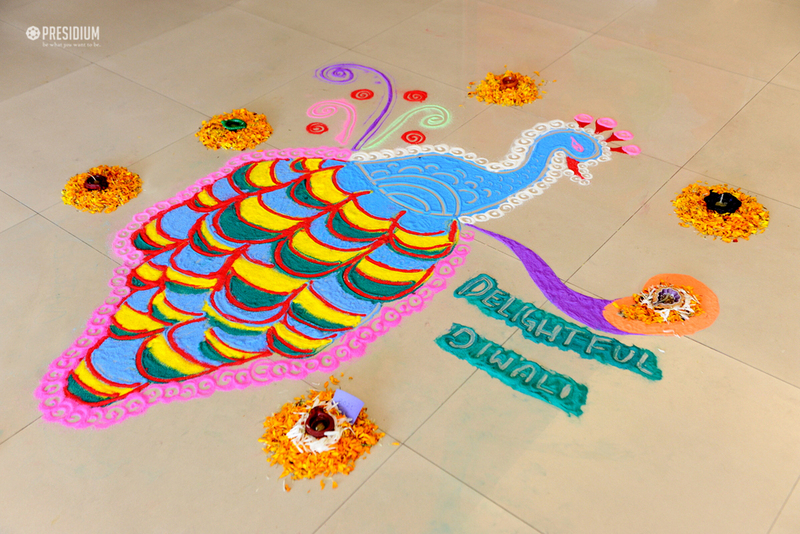 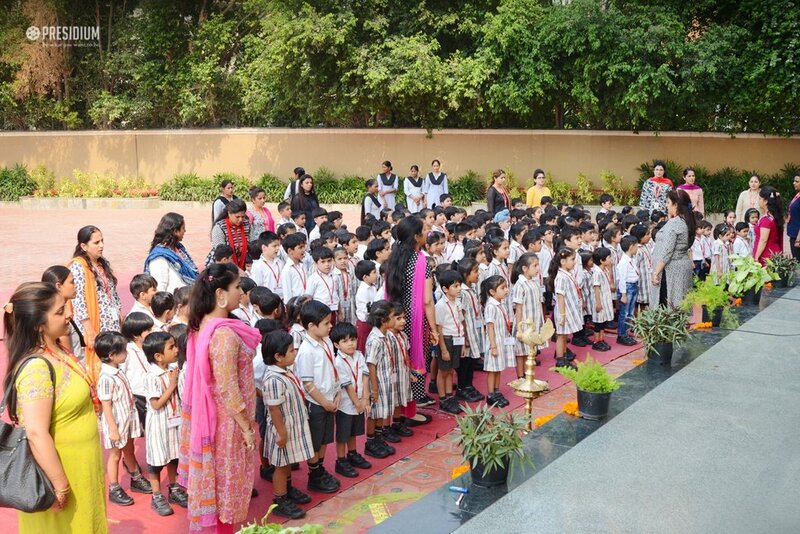 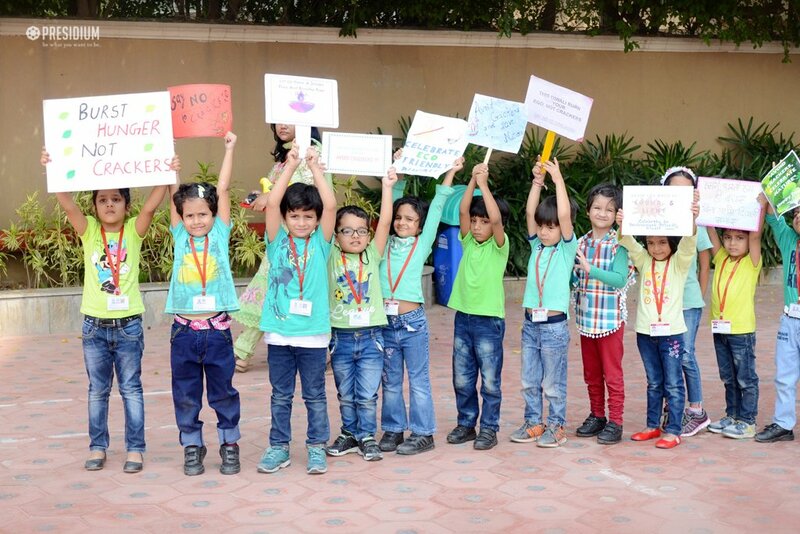 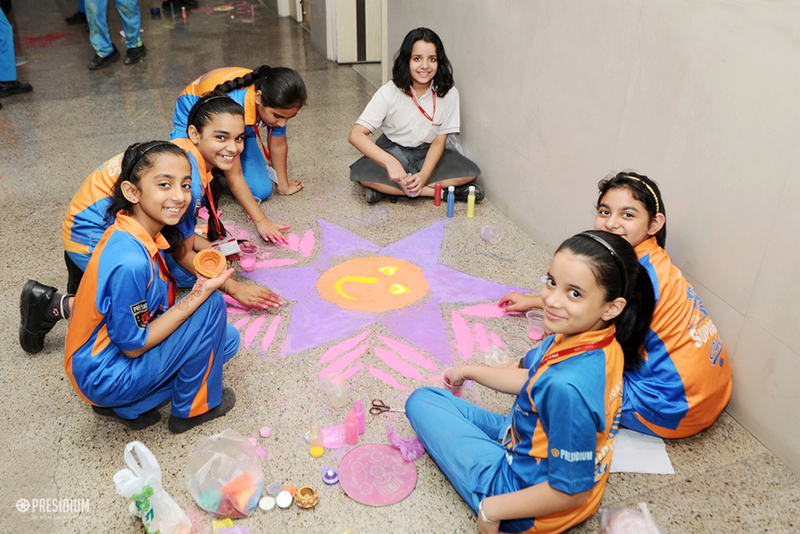 The celebration of Diwali, the festival of lights, came alive at Presidium Gurgaon when the whole school wore a festive look with diyas and rangolis, adorning the corridors and the assembly area in bright colours. 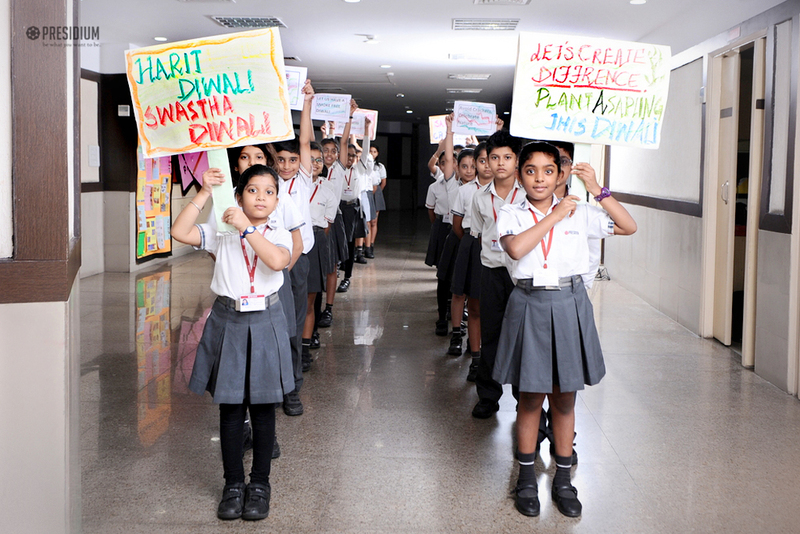 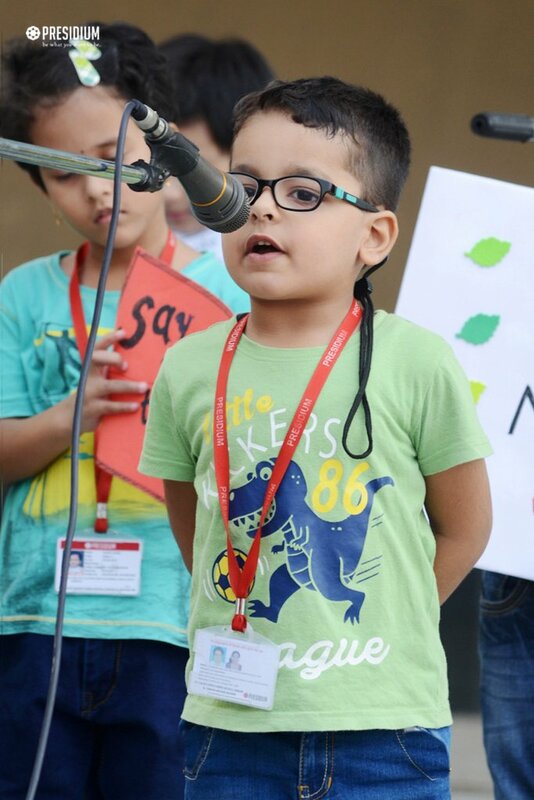 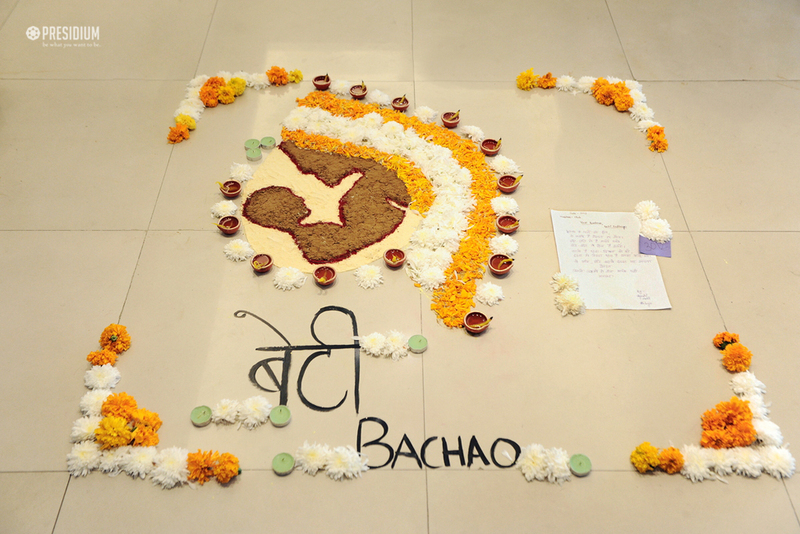 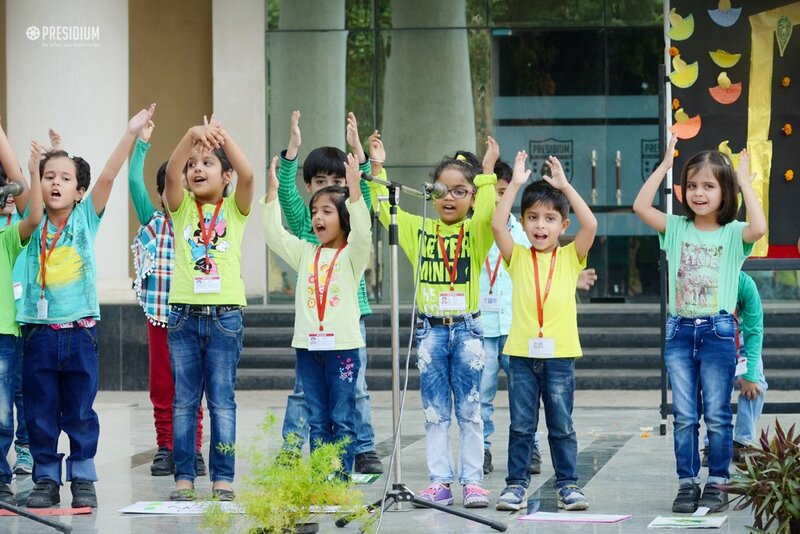 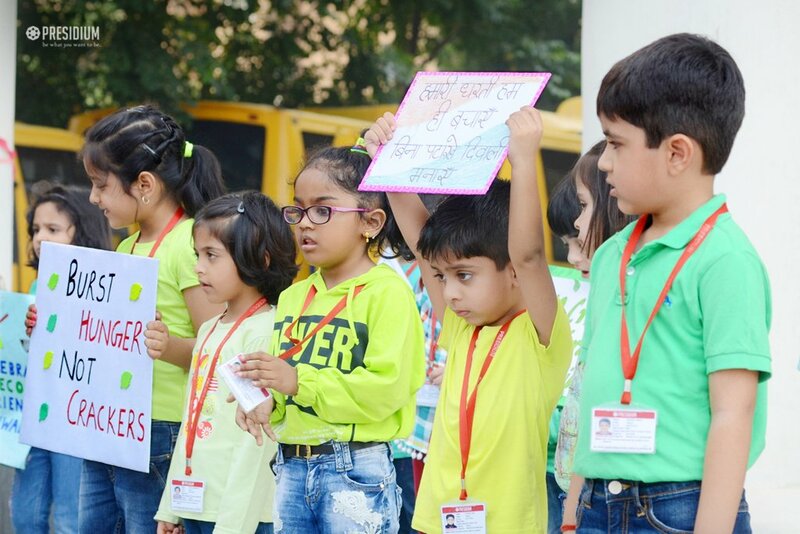 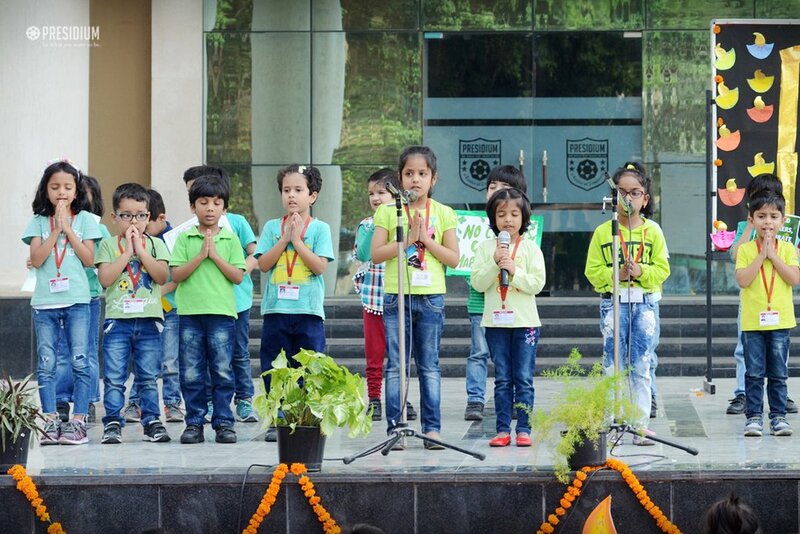 Students suggested ways of making the Diwali celebrations environmentally-friendly with a brief talk, which was followed by a foot-tapping dance on song 'aai Diwali' to highlight the festivity and good cheer of the festival. 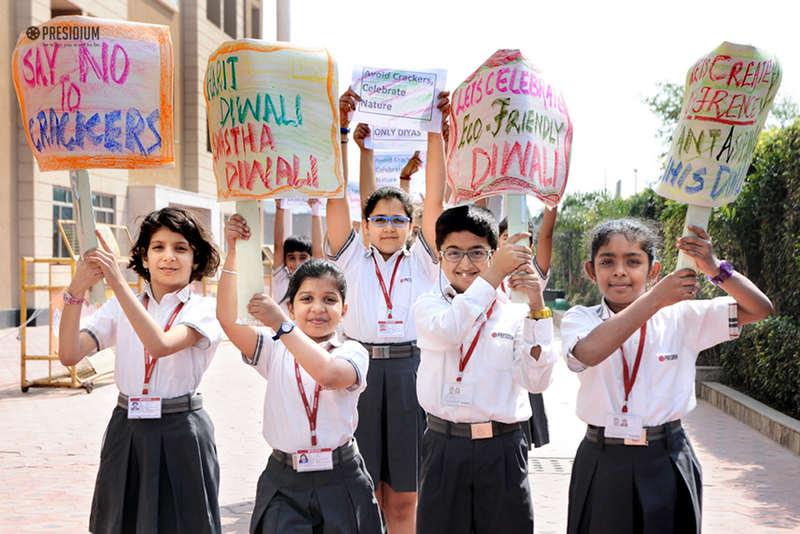 The young Presidians talked about the significance of the festival - how good always conquered the evil and also about why and how Diwali is celebrated across India. 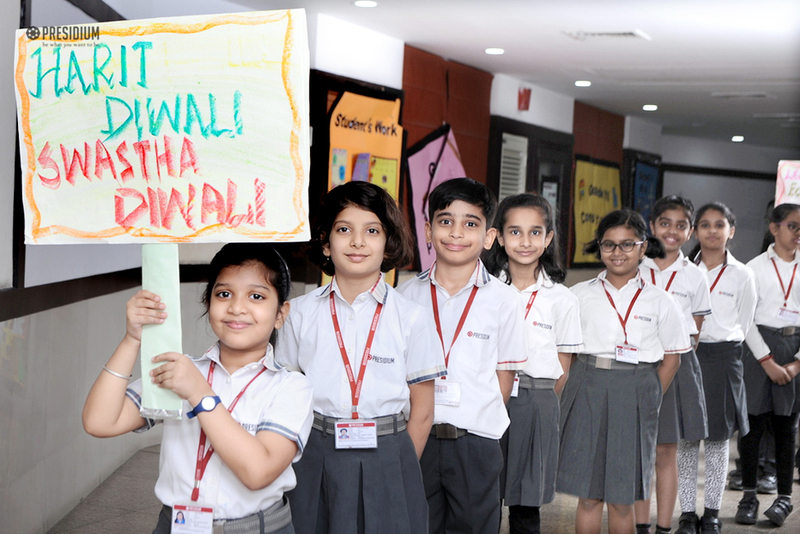 Besides sensitizing the students to the ill-effects of crackers, the assembly concluded with a beautiful message of a clean, peaceful and bright Diwali. 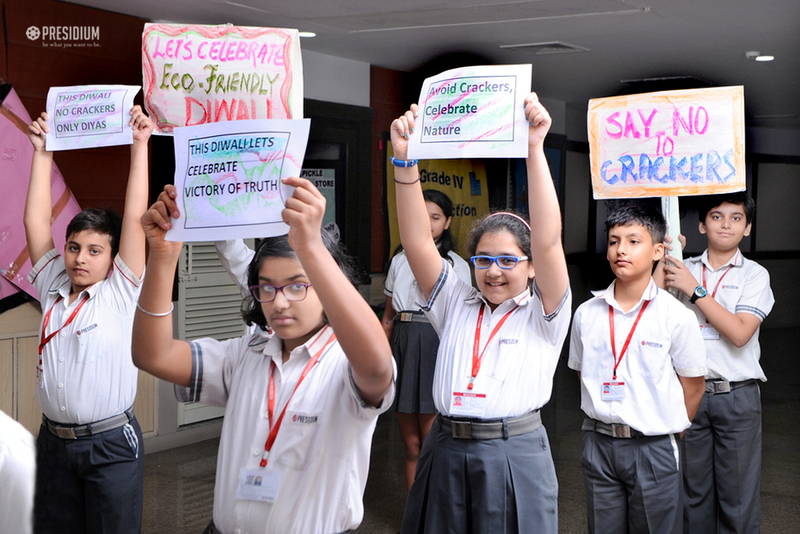 One and all appreciated the assembly, applauded the performers and encouraged the students to celebrate a pollution-free Diwali.